The best performed daughter of Admire Main to date, Admiral’s Eye, added yet more Bold Black Type to her pedigree by placing third in the Gr3 Flamboyant Stakes at Greyville behind Same Jurisdiction – the latter a Suncoast KZN Yearling Sale graduate. 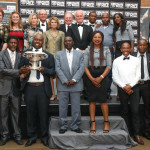 Admiral’s Eye has won six times and placed nine, including two Gr1’s – the Thekweni Stakes and the Golden Slipper. She is out of an Elliodor mare named Surfer’s Eye, bred in partnership by Mr Alan Magid and Summerhill Stud. Admiral’s Eye also provided the first win for her sire Admire Main, after placing on debut she won second time out at Scottsville over 1200m by two lengths. Surfer’s Eye [pictured below] borders on a broodmare phenomenon – having produced eight runners, seven winners – with four of them achieving Black Type status, not a statistic common among broodmares. They include full-sisters Saltwater Girl and Rapid Flow (both by Modern Day) who also both raced for the owner of Admiral’s Eye, Alesh Naidoo of The Fire Racing Trust. Saltwater Girl placed second in the Gr2 Gold Circle Oaks, as well as third in the Gr3 Flamboyant Stakes and Spook Express Listed. Rapid Flow placed in the Michaelmas Handicap Listed. Alesh has retained Rapid Flow for stud purposes and she has a foal by Kahal at foot this season. Kahal gave Alesh Naidoo his first Gr1 winner with Love Struck, who has since been exported to Mauritius and continues to race successfully. The full-sisters amassed 13 wins and placing 39 times between them, almost evenly, each over distances of 1600m – 2400m and stakes of over R1million. The next success to arrive was a son of Solskjaer, Shogunnar, who went on to place second in the Gr1 Summer Cup and third in the Gr1 Daily News 2000. Trained by Charles Laird, Admiral’s Eye looks to follow in her sisters’ footsteps, certainly securing a future as a broodmare with her pedigree and race record. A R340 000 Ready To Run sales graduate of 2012, from the first crop of her Japanese sire Admire Main standing at Summerhill, she has earned over R800 000 to date. 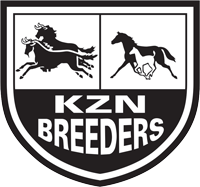 Surfer’s Eye hasn’t stopped there though – her three year old daughter by Kahal named Surfing Belle recently broke her Maiden to take home her first win by almost two lengths, from just four starts, at Scottsville over 1400m for owner Mario Ferreira and trainer Dennis Bosch. 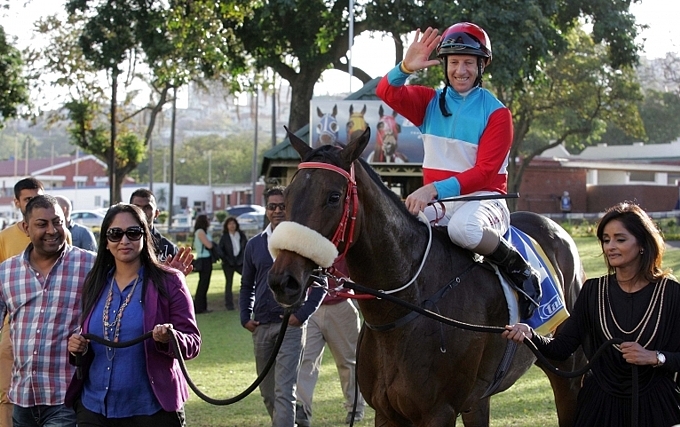 Surfing Belle sold for R750 000 at the 2013 Emperors Palace National Yearling Sale. Surfer’s Eye is by Elliodor out of Irish mare Avy Joan by Malinowski. 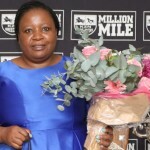 She was a winner over 1900m and placed five times, earning just R42,600 in stakes. Her imported female line reveals under the third dam, the likes of top sire and Champion Three year old Vaguely Noble as well as German sire Lombard and Lead On Time, amongst many Bold Black Types filling the female line. Surfer’s Eye has a 2013 Brave Tin Soldier filly, named Bold View, coming through the ranks. Admire Main, the only son of the brilliant Sunday Silence standing on the African continent at Summerhill Stud, is Japanese-bred and stands a big 16.2hh. In South Africa he has the very exciting Kalamain coming through, a three-time winner and the first horse bred by Lee and Dino Scribante of Piemonte Stud to race and going on to win – from six starts he has won three (all over 1600m), placed second and finished fifth twice. A beautifully athletic chestnut stallion with a beautiful big-striding walk, Admire Main left Japan in the middle of their breeding season to come to South Africa – leaving behind a crop of horses that are winning successfully on Japan’s tracks. They include 15-time winning Kohaku Fairy, as well as six-time winners’ Mio Charleston and Ripe Main. A top-class racehorse in his native Japan, Admire Main had four wins – including the Gr2 Aoba Sho Derby Trial over 2400m, and the Gr3 Mainchi Hai over 2000m. He also placed second in the Gr1 Japanese Derby and third in the Gr1 Kikuka Sho – earning in excess of $2-million US Dollars. He won his races by a combined 22.5 lengths. Out of the mare Promotion – herself by Hector Protector out of Assertion by Assert – his damline also includes Mount Hagen – a stallion that stood at Summerhill Stud many years ago. Admire Main’s half-sister is a two-time winner in Japan is is also Stakes Placed. 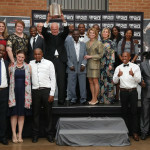 Admire Main stands at Summerhill Stud for a fee of R15 000.